Noisey are streaming Justin Broadrick’s remix of The Cliff by Chicago’s esteemed instrumental quartet PELICAN , taken from their new EP on Southern Lord to be released this month. Listen to The Cliff (Justin Broadrick Remix at https://soundcloud.com/pelican-song/02-the-cliff-justin-broadrick-remix. 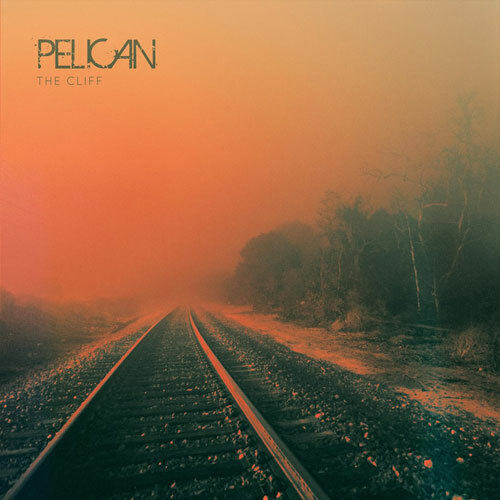 Allen Epley (Shiner, The Life and Times) once again returns to the band’s fold to transform, in a complementary manner, the concept and overall outcome of what we have come to know as Pelican. No cheap juxtaposition, Epley’s seasoned voice is as broad and astonishingly capable on The Cliff (which you can still listen to here) as the members behind the music, a claim those who have listened to Epley’s contribution on Final Breath from 2009’s What We All Come To Need will attest to. Elsewhere on the record, Justin Broadrick and AH/BCM turn in fresh takes of the source material, feeling less like remixes than new compositions reworked from the original source. Rounding out the set is the previously unreleased song The Wait , a contemplative semi-acoustic simmer that builds to an explosion of cathartic distortion and melody in true Pelican fashion. Pre-order The Cliff over on PELICAN‘s bandcamp page.